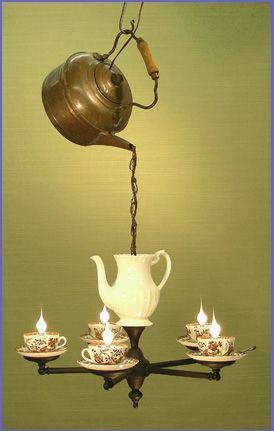 The website seems to be down (at least for me) right now, but I still want to share some Pourtensious tea lighting fixtures because they are gravity defying displays of awesome. 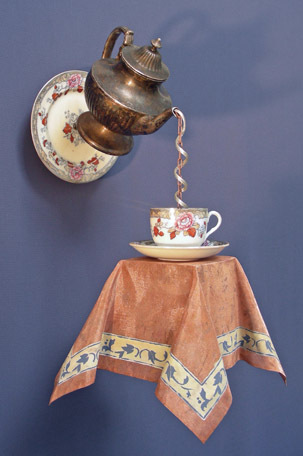 I want to make one of these so I can perpetually feel like I’m in a magical place, somewhere down the rabbit hole. This entry was posted on June 30, 2015 at 2:31 pm and is filed under decoration, home, inspiration, lighting, tea with tags decoration, home, inspiration, lighting, tea. You can follow any responses to this entry through the RSS 2.0 feed. You can leave a response, or trackback from your own site. 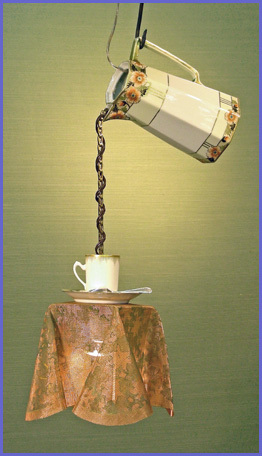 I SO want to hand make one!